Transportation costs can be a significant part of a company’s overall logistics spending. With increases in the price of fuel, the proportion allocated to transportation can be upward of 50 percent. This cost is passed on to the customer and the price of goods continues to rise. Consider a number of transportation strategies that can be used by management to help reduce costs. In the same way that the purchasing department streamlines vendors to gain better prices with higher volume, the transportation manager should adopt the same strategy when it comes to the number of carriers used. A transport manager spends time finding the best carrier at the best price, but sometimes that leads to a large number of carriers being used, albeit giving excellent service. The multiple carrier approach occurs when the transport manager has negotiated the best deal for each route, but has not looked at the big picture. By reducing the number of carriers, the amount of work offered to the remaining carriers will increase. By offering vendors a larger volume of work, the carrier should be able to offer lower rates across all routes. It may be the case that on some routes the rate is not as good as was negotiated with an another carrier, but overall the rates across all routes should be lower. As carriers are offered more work, theoretically the negotiated rates should fall even more as the carrier wants to retain the routes they have and increase the volume of work they are receiving. Of course, with any strategy there is also a downside. The risk associated with only using a small number of carriers is that a company can become very dependent on those carriers. If a company uses five carriers fairly equally and one of those carriers goes out of business, the company would quickly have to find carriers to allocate those routes. Otherwise, delivery delays could cause financial consequences with customers not receiving their deliveries, and a drop in customer satisfaction which could lead to fewer orders in the future. If a company uses carriers for its deliveries, the rate it pays is negotiated by trip based on weight, distance, and other variables. One strategy that can be used by transportation managers is to consolidate shipments so that fewer trips are made, and the company reaps the benefit of lower rates based on larger shipments. Consolidating shipments means that transportation managers will be moving away from less than truckload (LTL) shipments to truckload (TL) shipments. This is not always possible, but given that discounts for larger shipments are almost always available, the transportation manager should be looking at this strategy to reduce costs. Some companies believe the best negotiated prices can be achieved when they use a single source for all their transportation. This is fairly common for purchasing departments to use a single source for a range of products that a single vendor can provide. The same can be achieved for transportation. By offering all transportation out to bid, via a request for quotation (RFQ), a company can provide carriers with a detailed explanation of what it requires, which may fall outside of what is normally provided by a common carrier. If it wanted to use a single source, a company would have to thoroughly evaluate a bidder’s ability to provide the service and whether the carrier has the stability not fall into bankruptcy within the timeline of the contract. 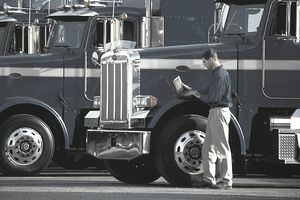 If the winning bidder fulfills the needs of the company and has been fully evaluated, a company could gain significant transportation savings using a single carrier.